What Miami winters lack in snow, they make up for with enviable warm weather, top-notch events, and selfies from the beach that make your friends around the rest of the country angry. “Winter” (emphasis on the quotations) is the best time for a long weekend in Miami, whether you’re coming from out of town or are in dire need of a staycation. 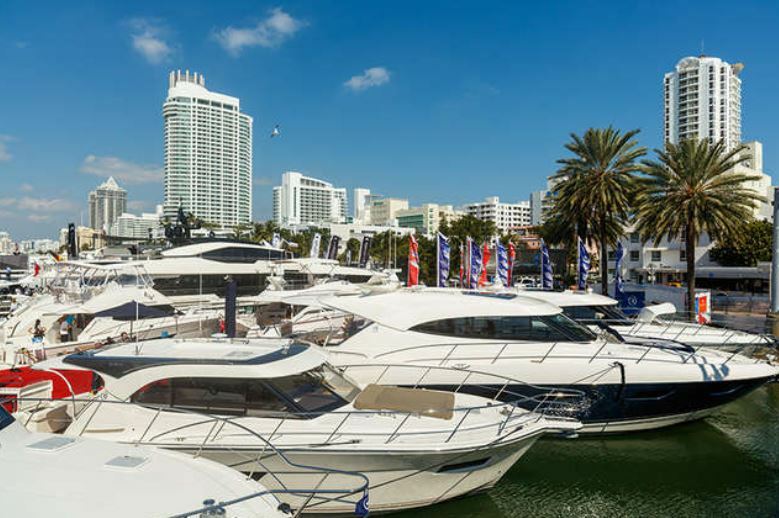 February specifically is packed with some of the biggest events of the year: The Miami International Boat Show and Miami Yacht Show (February 14-18) bring everything from small power boats and sailboats to some of the largest superyachts in the world. The Coconut Grove Arts Festival, which also happens on Presidents’ Day weekend, takes over the Coconut Grove neighborhood with live music, food trucks, stand after stand of handcrafted art, and more. If you’re a real foodie, don’t miss the South Beach Wine & Food Festival on February 20-24, which brings together tasting pavilions, celebrity appearances, special dinners, parties, concerts, and of course… food by every chef you need to know in America. The last two weeks of March is another prime time for events, starting with seats to world-class tennis at the Miami Open (March 18-31). If you want the type of party that only a Miami EDM festival can provide, there’s Miami Music Week, which culminates with Ultra Music Festival (March 29-31) featuring headliners such as The Chainsmokers, deadmau5, and Afrojack. Also, since South Florida is one of the few parts of the US where you can be outside in shorts and a t-shirt this time of year, plan to spend as much time in the sun as possible. Walk up and down Ocean Drive, hit the beach at Lummus Park, then cap your day with a nice meal at Miami’s famous Joe’s Stone Crab or Smith & Wollensky. All those events we just mentioned come with plenty of afterparties, too, so if you’re craving a taste of the nightlife, head to any bar or club on Miami Beach and you’ll probably find one. Where to stay: The Gates Hotel South Beach puts you near all the action for a reasonable price (rooms from $300/night for event weekends or $200/night for other winter weekends — a steal this time of year). Visit its restaurant, Agaveros Cantina, to try the elote fritter that won a challenge on Food Network’s Beat Bobby Flay.